While many visitors may think of Wrightsville Beach when they consider their summer vacations, there are also those who call the beach their home for the holidays. The temperatures may be colder, but some of our oceanfront and waterfront homes and condos are just the place you want to be when it's time for snuggling in. 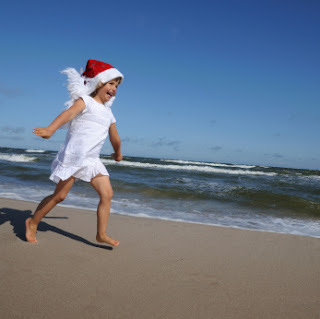 Renting a beach house with family and friends for the winter holidays can provide the feeling of being on vacation when all there is do is sleep in, bundle up for long walks on the beach, watch the sunset, enjoy a dinner in (or out) together, and just lay low. An oceanfront accommodation with large windows overlooking the ocean or water allows the feeling of calm, peace, and lots of space even when you're inside. Wrightsville Beach is an ideal location for getting the family together at the holidays because of the options for privacy, seclusion, and peace and where it's also easy to get out exploring, exercising, shopping, dining, catching a movie, or simply picking up groceries to stock up the house. You also might get lucky and enjoy some 70 or 75 degree days in the middle of November, December, and January! We love the peace, comfort, and coziness of spending the holidays on Wrightsville Beach and would love to hear from you if this is a tradition in your family (or if you plan on starting one)! Remember that you can contact Hardee Hunt and Williams for inquiries regarding Wrightsville Beach Real Estate: 800-852-1605.